If you think a cheese ball old-fashioned, try my updated Pecan, Pineapple and Gorgonzola Cheese Ball with Dried Cranberries. 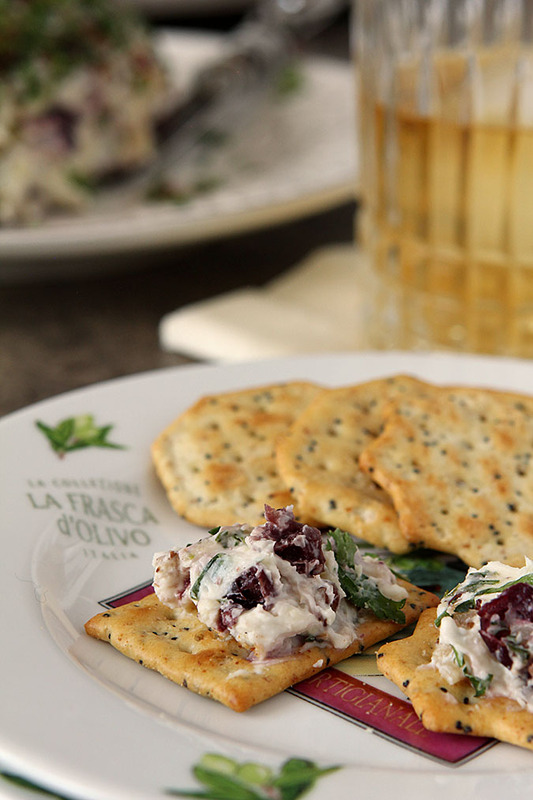 Cranberries and Gorgonzola make for a new taste and it’s sensational! I wrote a post yesterday that I’ll be publishing next week that has a story that winds its way across years and states and old friendships and ended with a spectacular main course meant for the holidays. Sometimes that happens; when food and food memories make for a real tale. 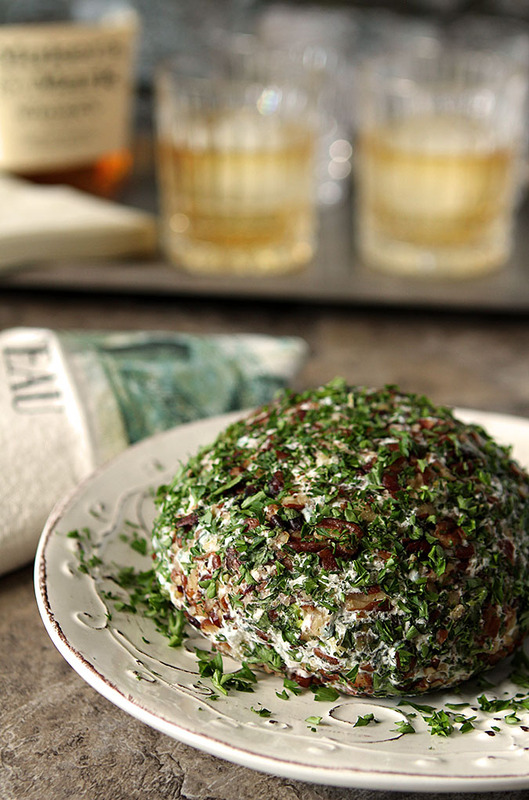 That wasn’t exactly the case with this Pecan Pineapple Cheese Ball with Gorgonzola Cheese and Dried Cranberries! No, this is simply a story about a very old recipe stuck on my blog from 1996 when I actually never wrote stories or took photographs but simply had a catalog of recipes I loved. I happened to notice that someone had visited the page in my blog stats. One lonely person. So I decided it was high time to bring this into the new century, update it a bit and was sort of amazed myself at how well it was received by friends. With some surprise, between the time I decided to do a redo and the time I got it done, David Lebovitz had published a recipe for, of all things, a cheese ball. Cheese balls are definitely a blast from the past. There were once a mainstay of holiday parties that today might be considered the dinosaurs of appetizers. Kim Severson with Food 52 even queried last week which was more outdated, cheese balls or fondue. I was happy to see that both still had their fans and encouraged that even Mr. Lebovitz found some redemption in the lowly cheese ball I forged ahead. Gone was the Neufchâtel cheese; the similarity between it and cream cheese makes having some of each unnecessary in my book. I decided to revise the flavor profile and instead add some Gorgonzola cheese for a bit stronger flavor. What do I love with Gorgonzola most? Well, fruit of course. So I pitched the red pepper and subbed in some dried cranberries. While I might have discovered years ago that red pepper is not green pepper which I, um, don’t care for much…given a choice it’s not on my list of of preferences so this was easy. If they had not been called for I would have covered this mixture in nuts but they were; I simply toasted them first. I’ve found I’m one of those that like both walnuts and pecans in their toasted form considerably more than when raw so I do that almost all the time now; from cookies to cake to stuffing to well…cheese balls! Credit Mr. Lebovitz with the addition of the parsley…his just looked pretty and I decided to do the same and yes…MUCH prettier. The real test was in the tasting. As I often do when I’m making something for the blog, I called my taste testers. You might know them as neighbors. I had some leftovers and this cheese ball and when they showed up we sat at the table for a bit and chatted before I was going to warm up dinner. Everyone had a glass of wine or beer and I served this Pecan Pineapple Cheese Ball with Gorgonzola Cheese and Dried Cranberries with some crackers. Seriously there were raves. People devoured this pup. People asked if they could take some home with them. There was none to take home. My one friend, who is normally a pretty dainty eater, could not stop. I think it was her dinner. Really it was THAT good. And so easy. So forget the notion that the cheese ball is outdated and passé. Ignore that some might think those mainstays of the 70’s are long gone. Try this combination and I’ll bet you’ll agree…something old really can be new again! 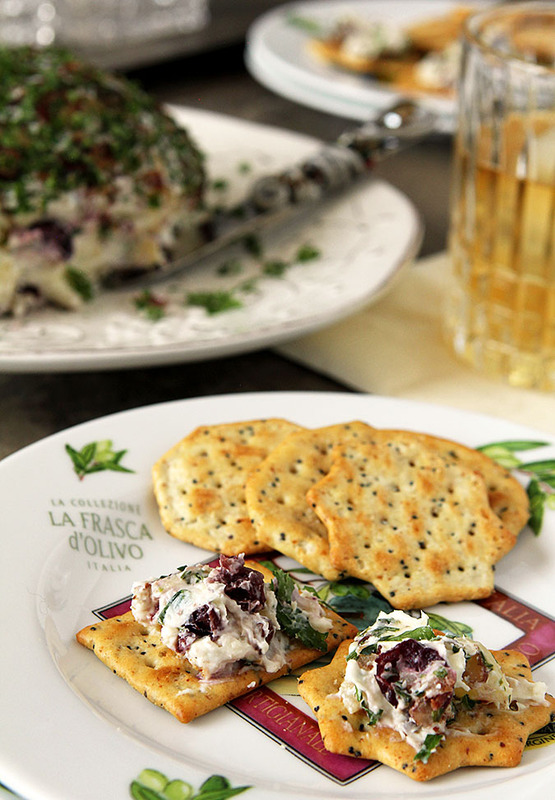 Updating an old recipe with the addition of Gorgonzola cheese and dried cranberries definitely made something old new again and tastier than ever. Using a stand mixer, blend all ingredients on low speed except nuts and parsley. Place in fridge for 30 minutes. Split mixture in half and form into two balls and roll first in nuts, then in chopped parsley. Refrigerate until ready to serve. Serve with crackers and fresh fruit if desired. I haven’t had a cheese ball in ages. And it’s been longer since that than I’ve made one! This looks terrific, and something I should try — I’m a sucker for gorgonzola. Looks wonderful — thanks. I hadn’t had one in years John but this one? I’ll be making it again soon for a party…we just LOVED it!